FOR IMMEDIATE RELEASE: Lewiston, Maine (November 29, 2017) – New England Fights (NEF) returns to Lewiston on Saturday, February 3, 2018 with the fight promotion’s next mixed-martial-arts event, “NEF 32: Super Saturday.” Earlier today, NEF announced the addition of an amateur flyweight bout to the card. 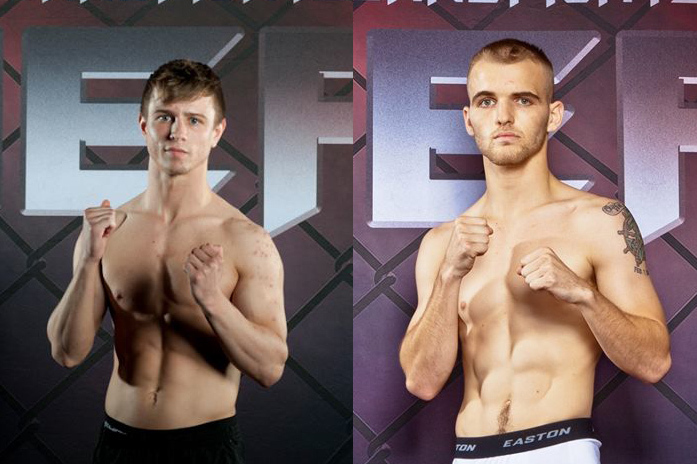 Ryan Burgess (2-2) will face Nate Boucher (2-1) at a fight weight of 125-pounds. Ryan Burgess is wrestling royalty at his alma mater, Mountain Valley High School, in Rumford, Maine. Burgess is one of only four Mountain Valley wrestlers to ever win triple state crowns in wrestling. He amassed an amazing 151-23 overall high school record before graduating and turning his focus to mixed martial arts. He is currently a member of Berserkers MMA based in Rumford. Burgess is the former NEF amateur flyweight champion. NEF 32 will see him return to the cage after a year’s absence. Nate Boucher began wrestling at five-years old and due to some off-the-mat issues, never achieved the high school statistics of his upcoming adversary, Burgess. However, Boucher’s wrestling skills were on full display back in August 2017at NEF 30 when he defeated Maine wrestling legend and four-time state champion Jeremiah Barkac (0-1) by first-round submission. Boucher, who grew-up admiring Burgess’ prowess on the mat, is anxious to test himself against such a decorated grappler and prove that his wrestling stands up against the best. He will be looking to rebound from a split decision loss to Justin Witham (4-4) earlier this month in an unsuccessful bid for the vacant flyweight title. It was a fight many in attendance felt Boucher had won. NEF’s next mixed-martial-arts event, “NEF 32: Super Saturday,” will see the company make its return to the Androscoggin Bank Colisee in Lewiston, Maine. The event is scheduled to take place on Saturday, February 3, 2018. Tickets are on-sale now online at www.TheColisee.com.